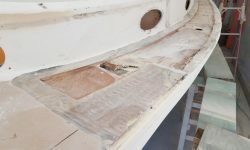 On the port sidedeck, I ground off the gelcoat and otherwise prepared the remaining adjacent deck areas surrounding the large area where I’d removed the old core and previous repair work, and also ground out several large cracks in the cabin trunk and forward part of the cockpit coaming that had been patched with a thick, ungroomed gelcoat putty. 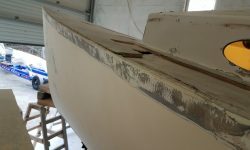 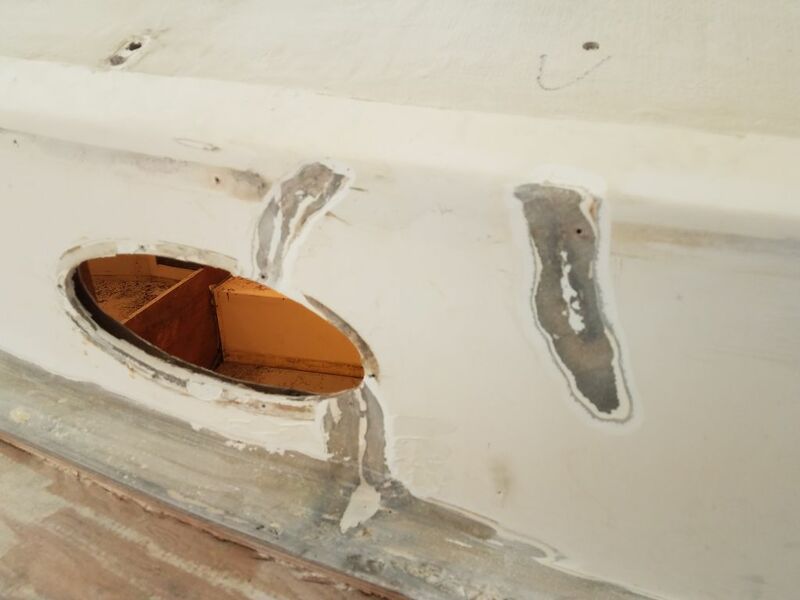 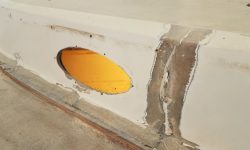 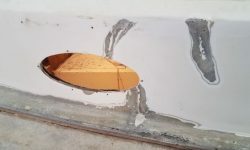 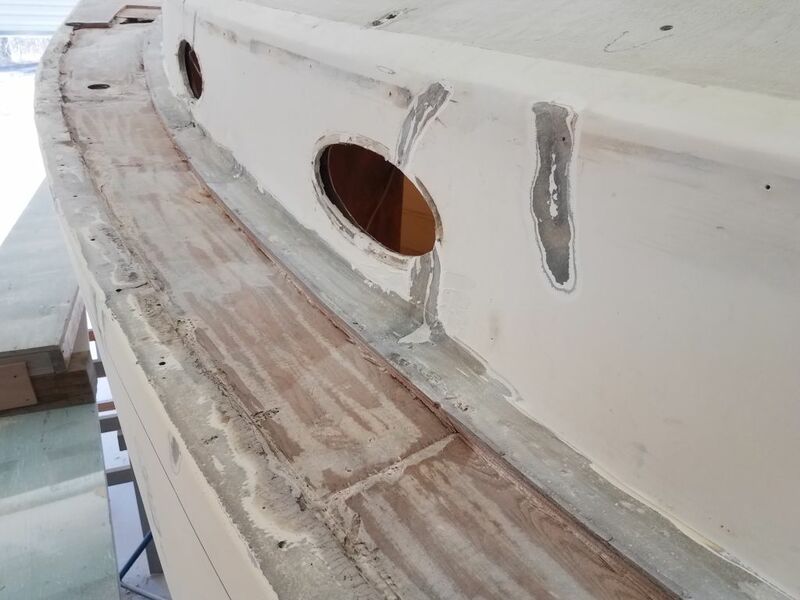 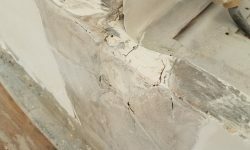 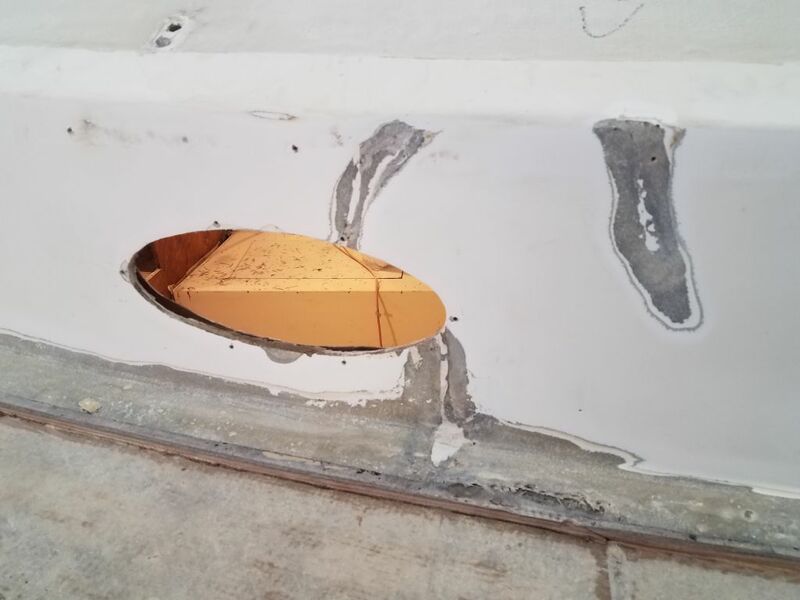 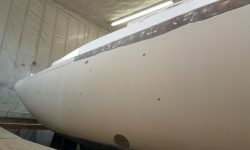 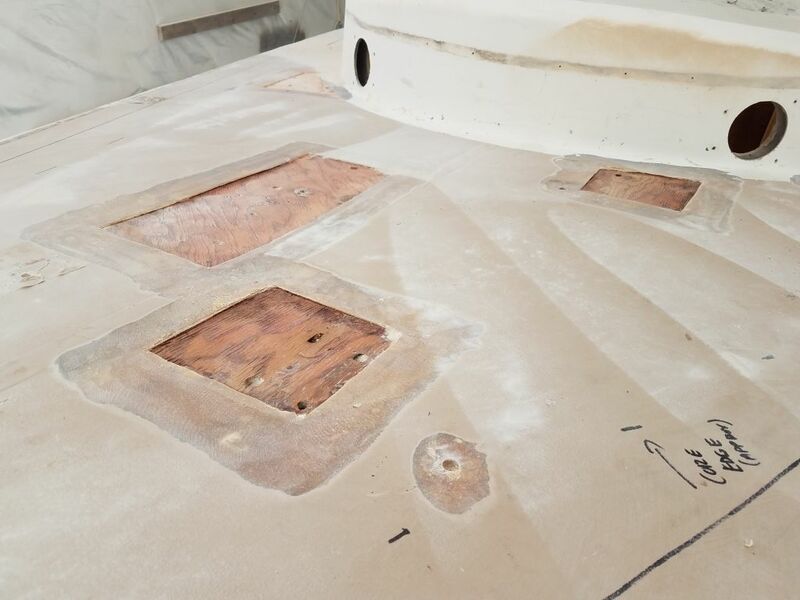 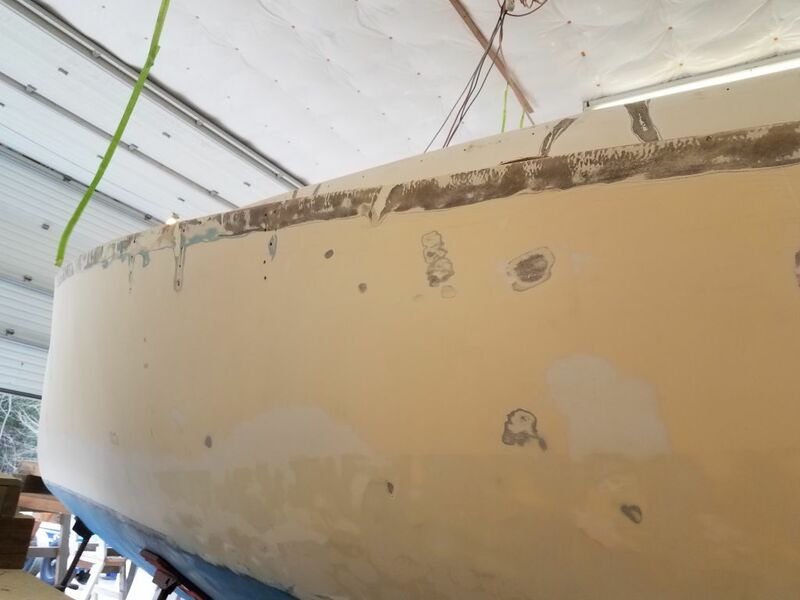 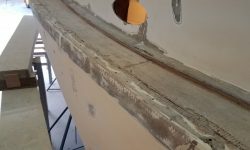 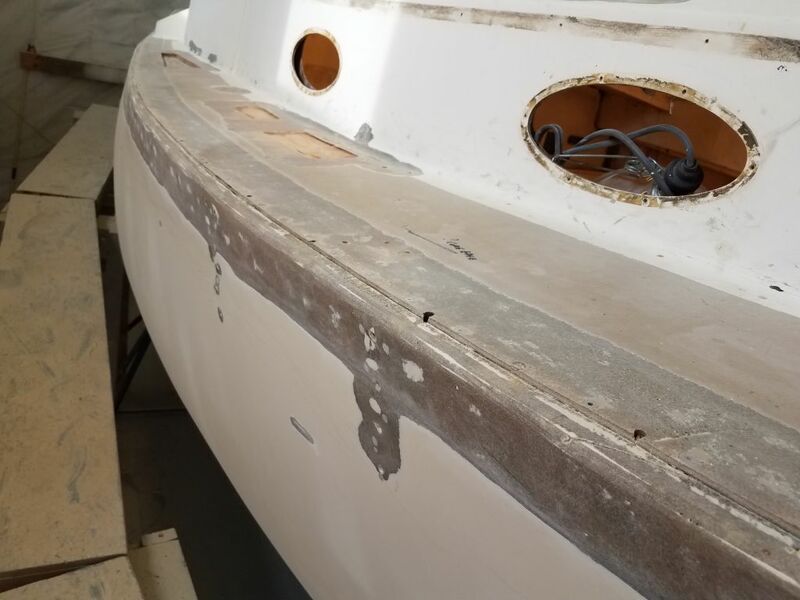 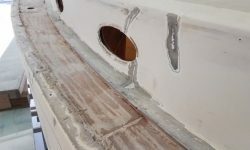 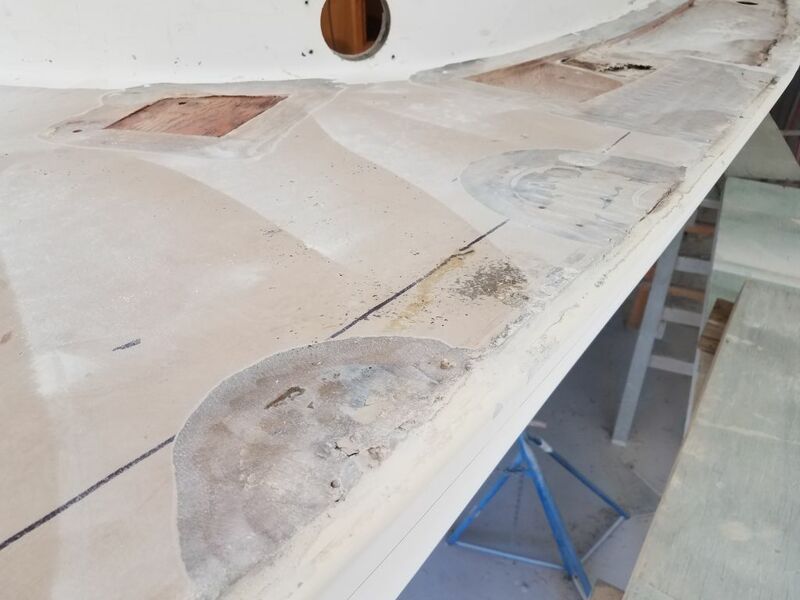 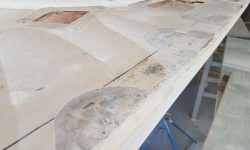 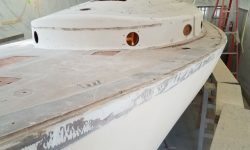 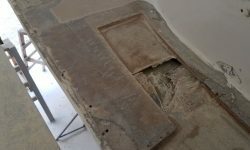 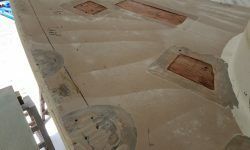 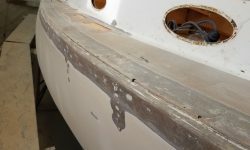 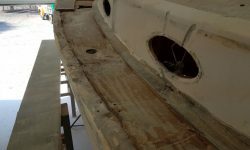 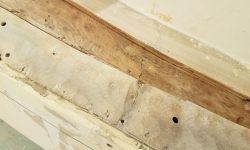 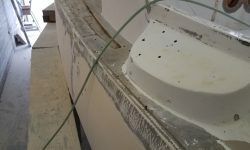 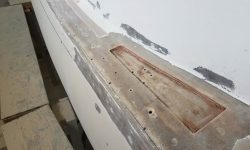 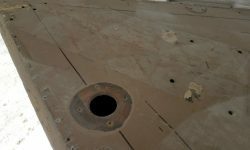 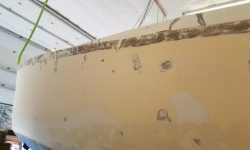 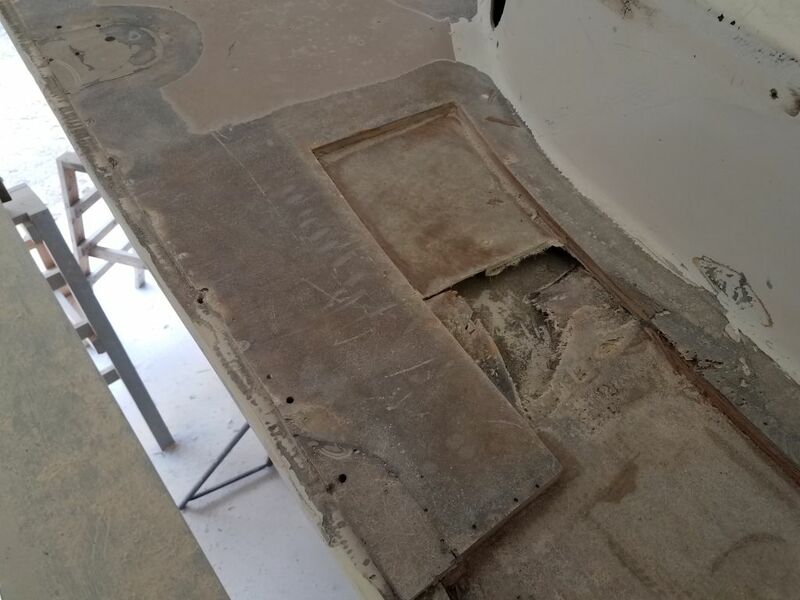 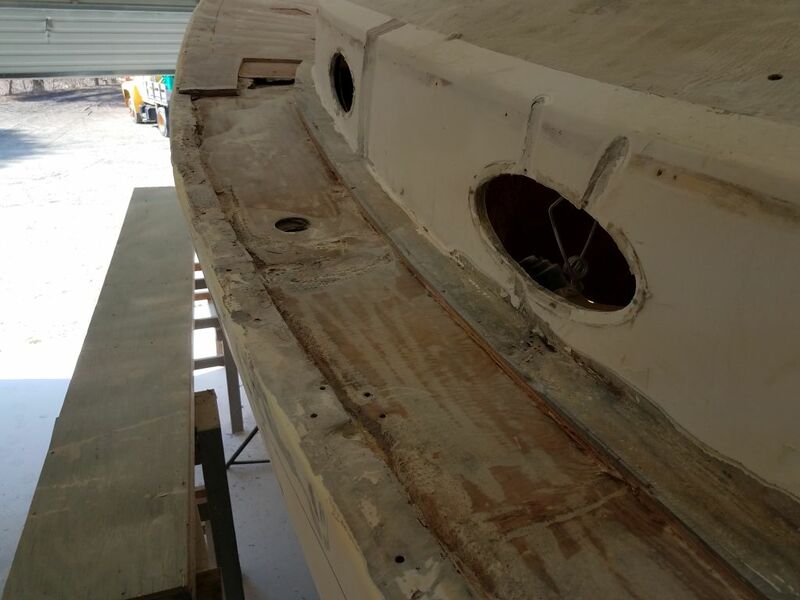 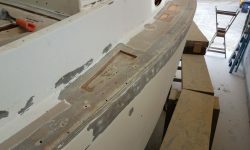 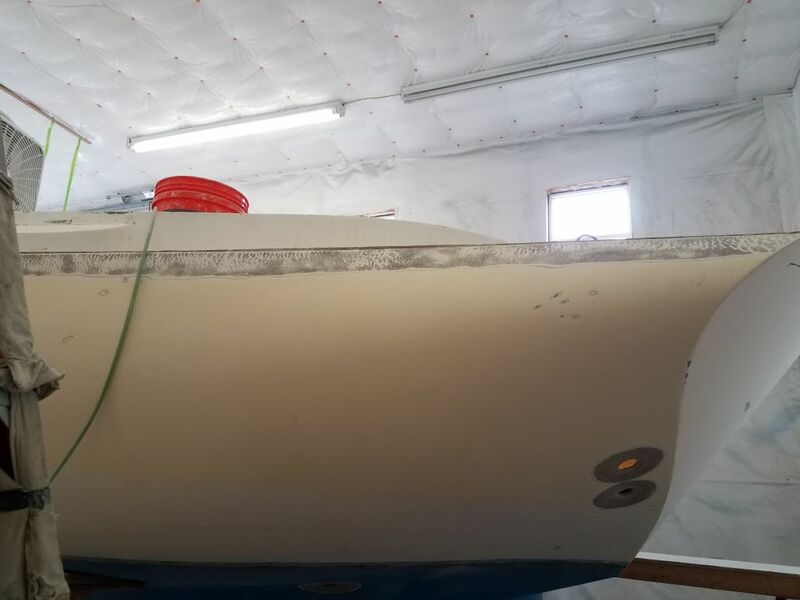 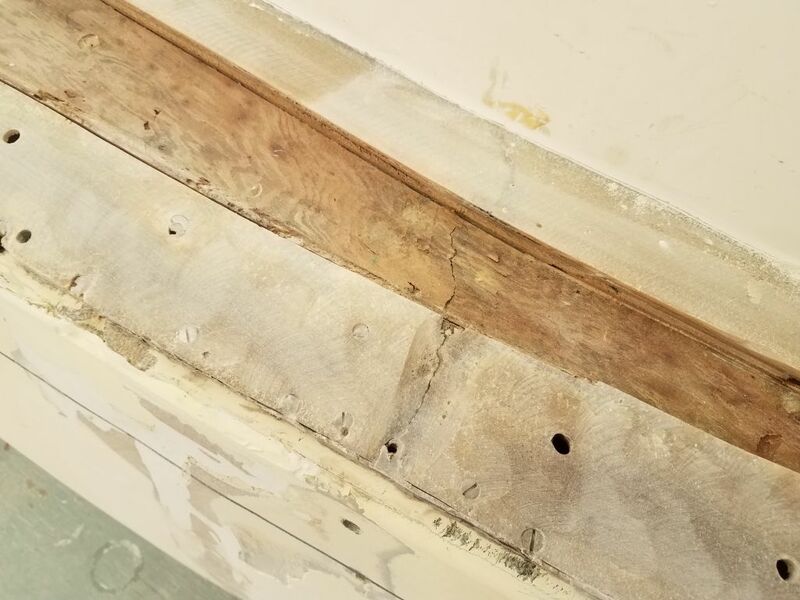 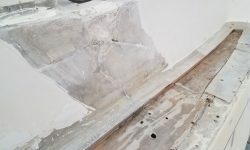 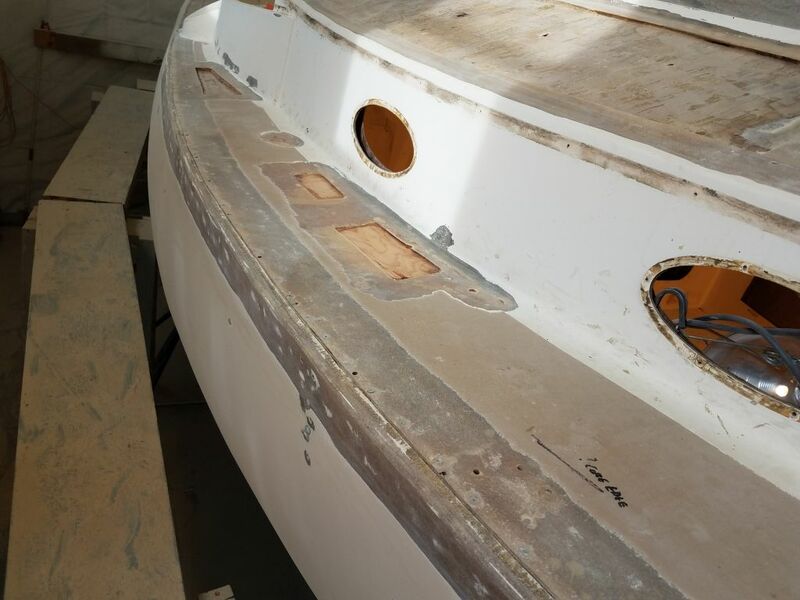 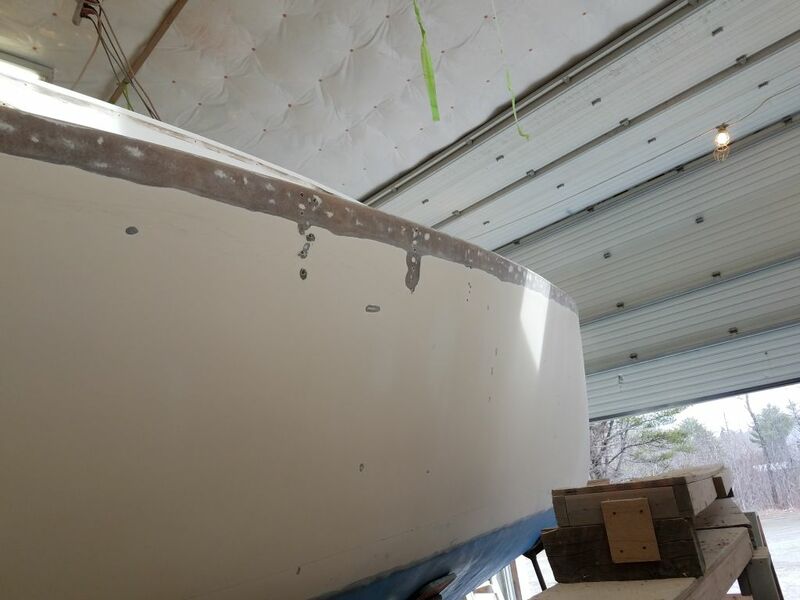 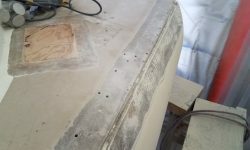 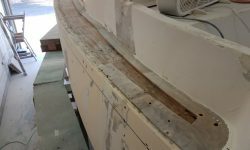 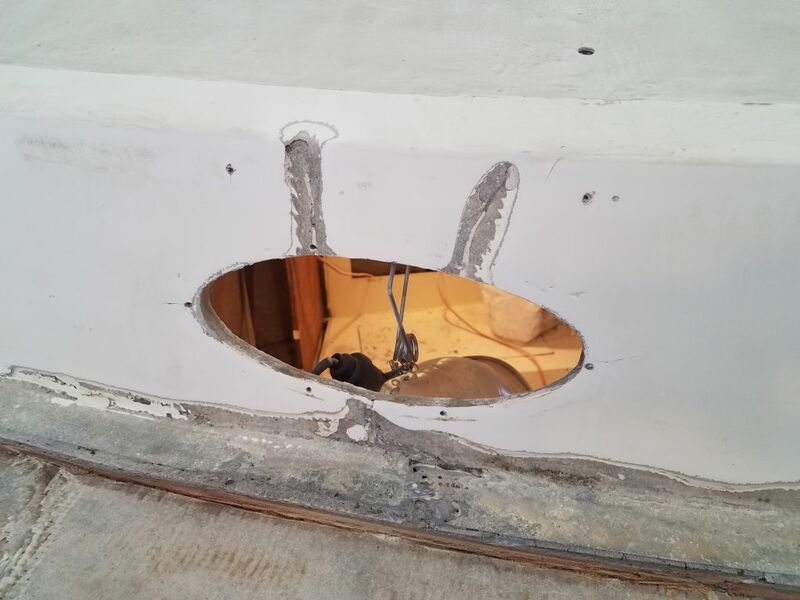 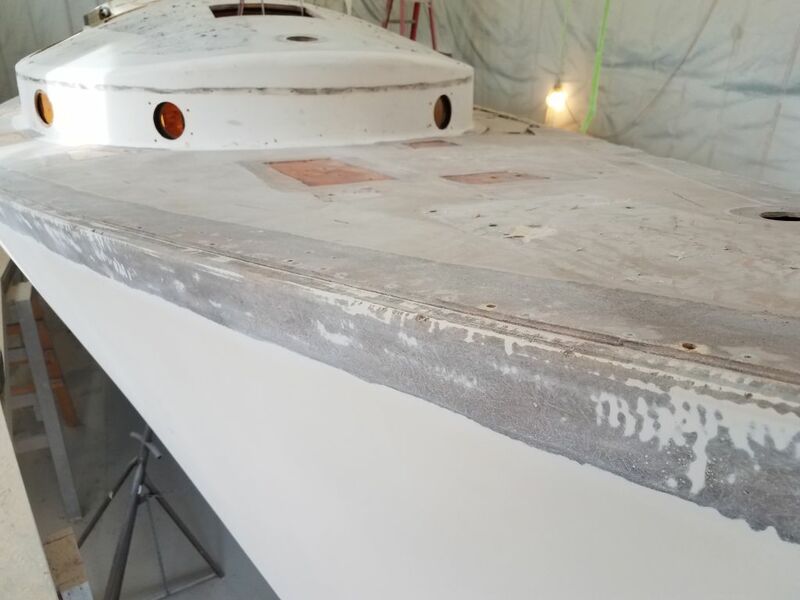 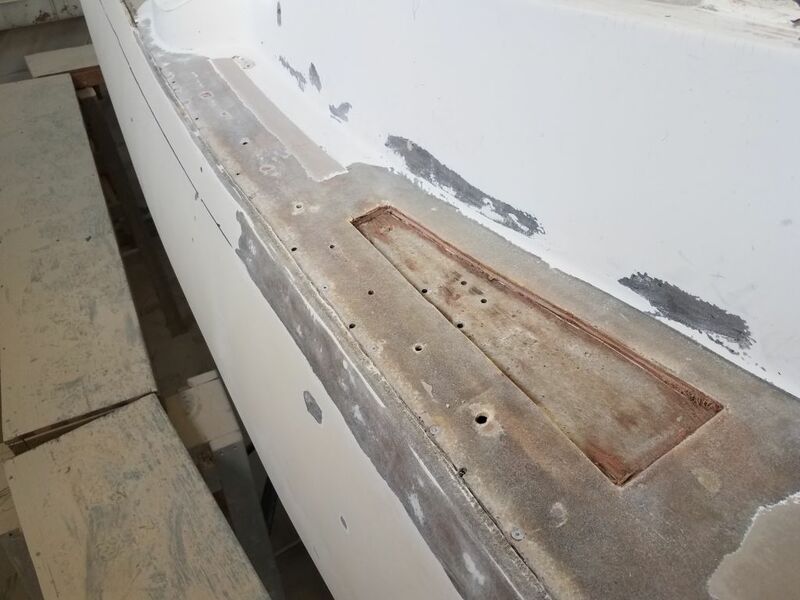 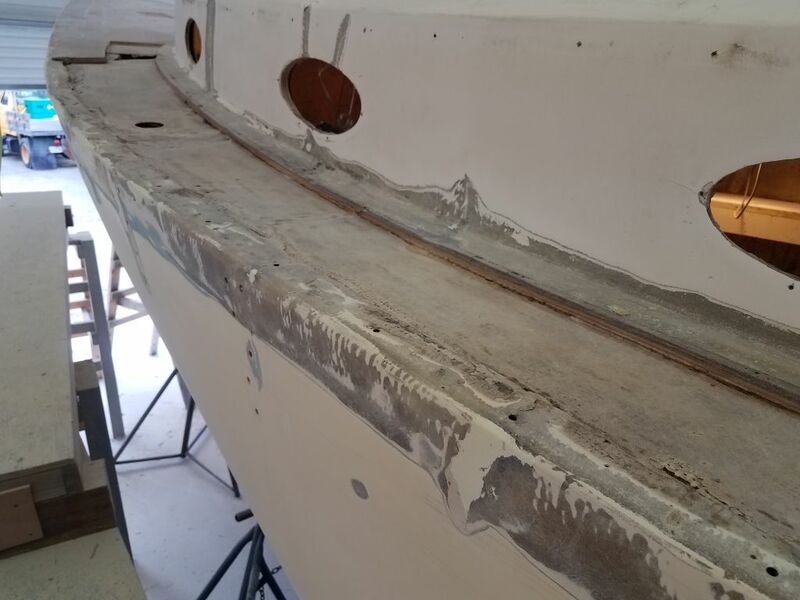 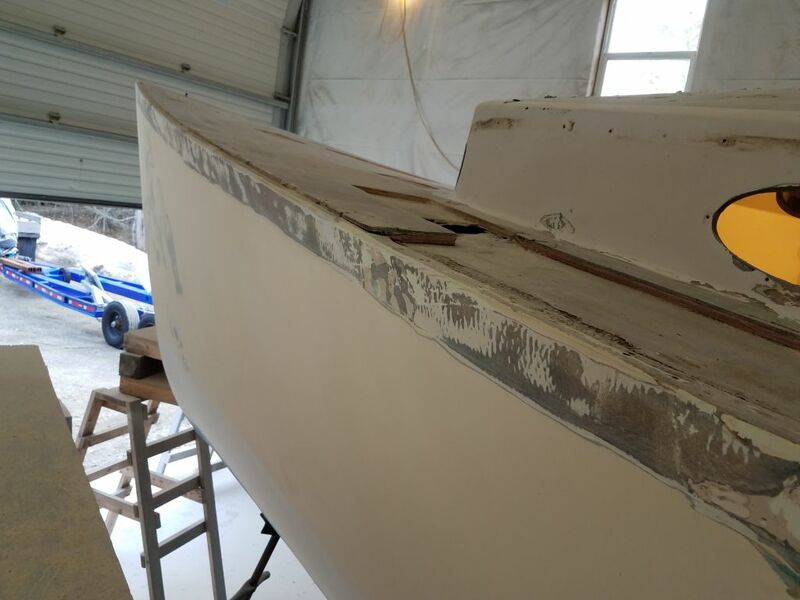 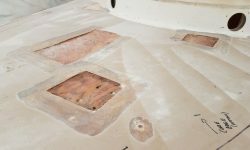 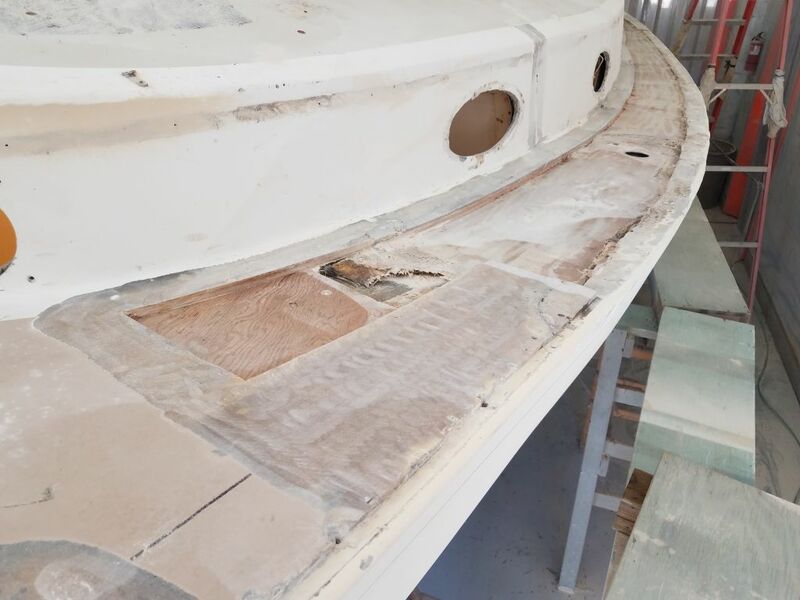 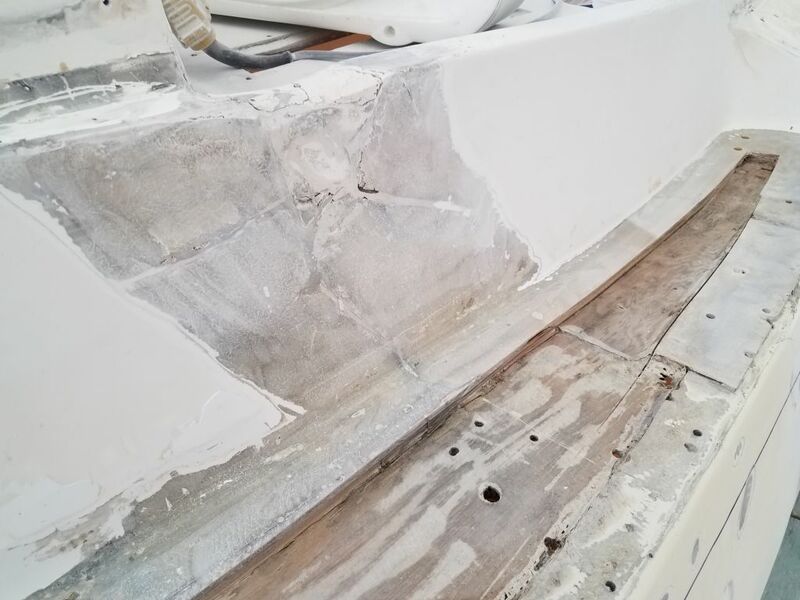 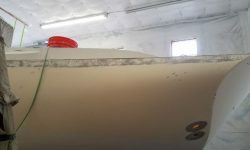 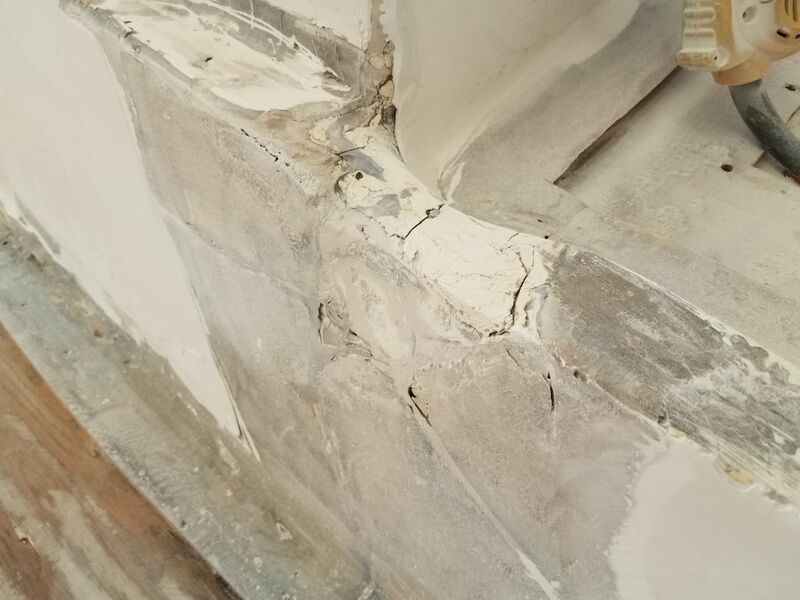 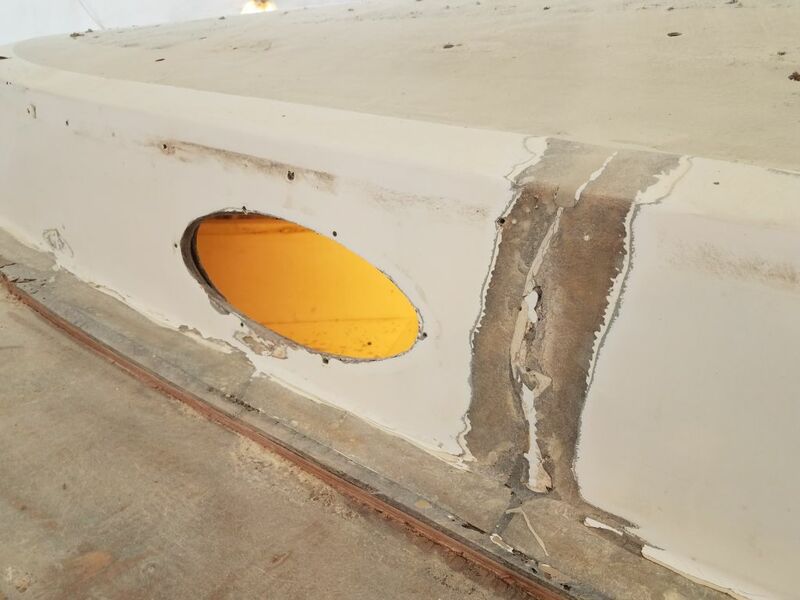 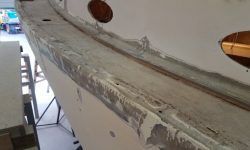 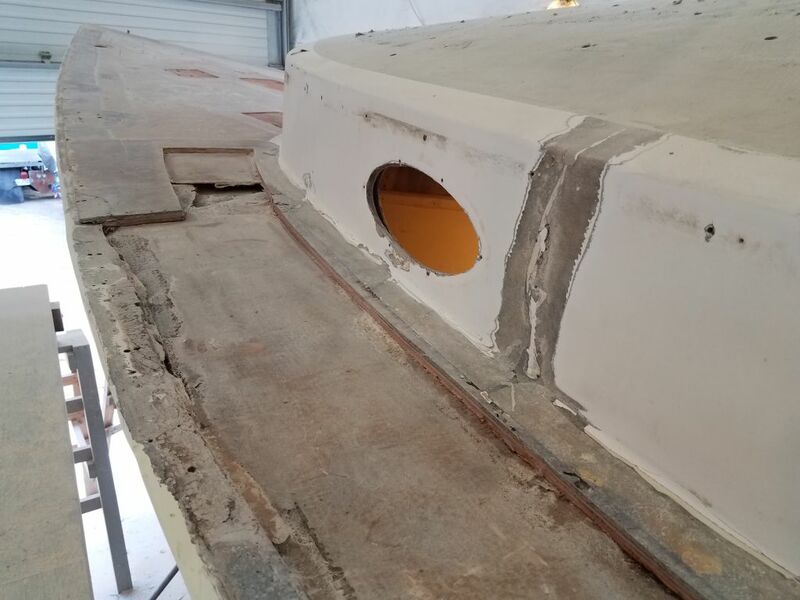 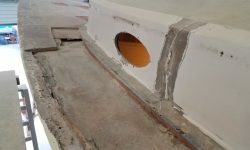 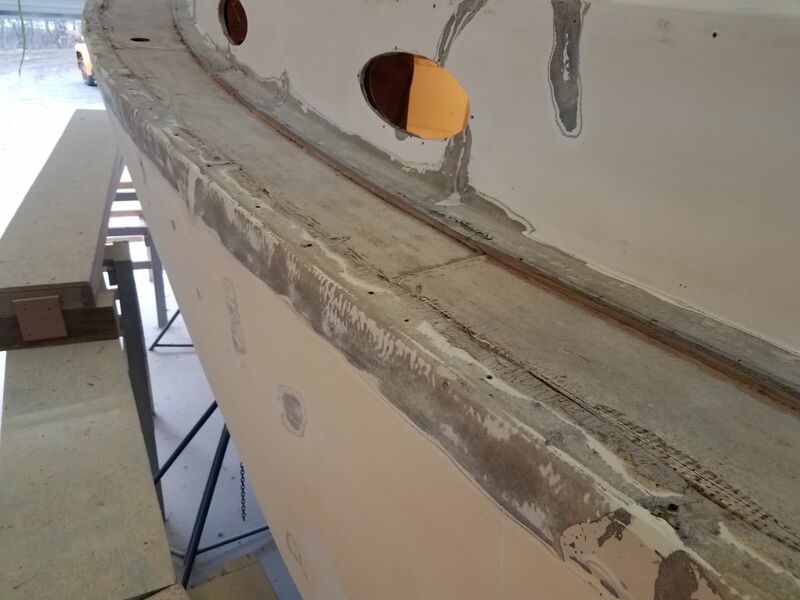 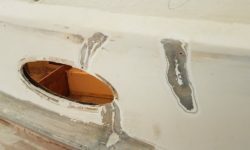 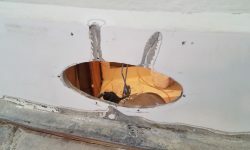 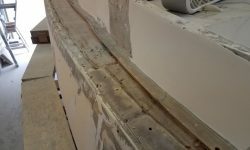 In the same session, I prepared the remaining small repairs on the foredeck, grinding away the gelcoat and tapering the edges of some existing holes and other areas where I’d removed the top deck skins for repair. 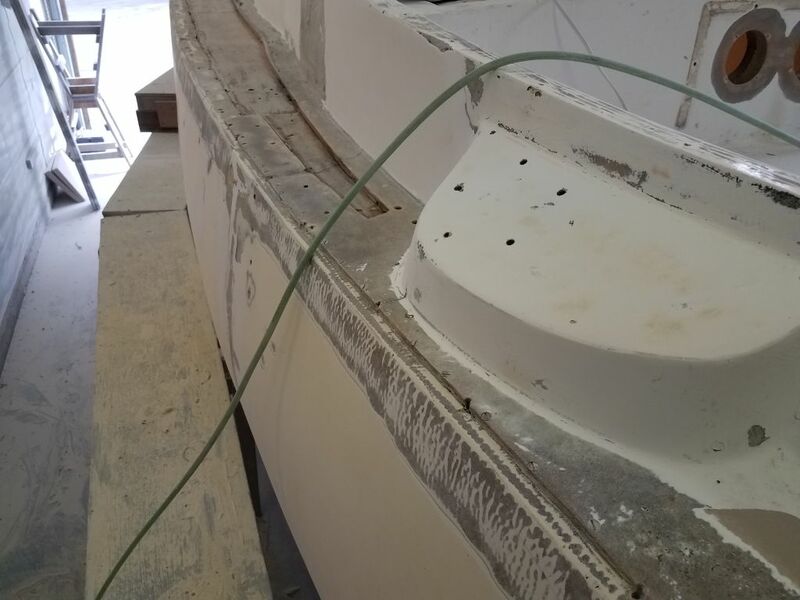 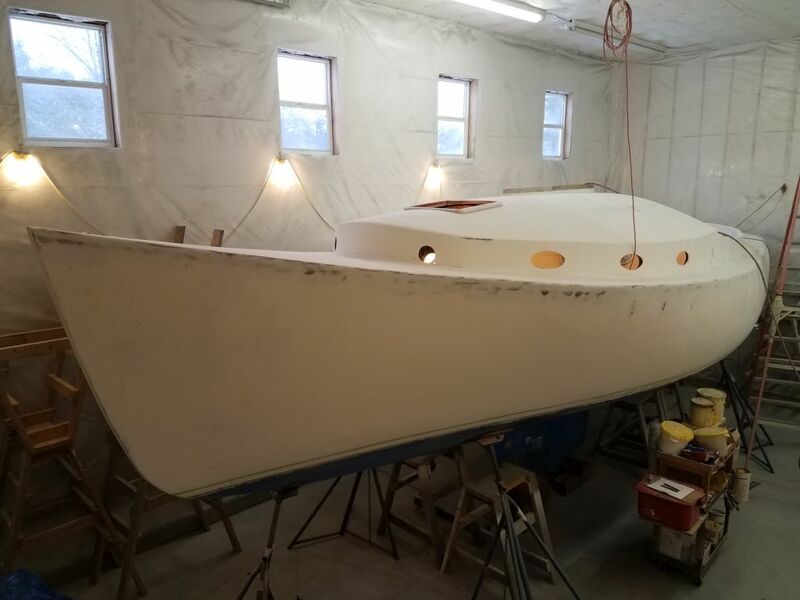 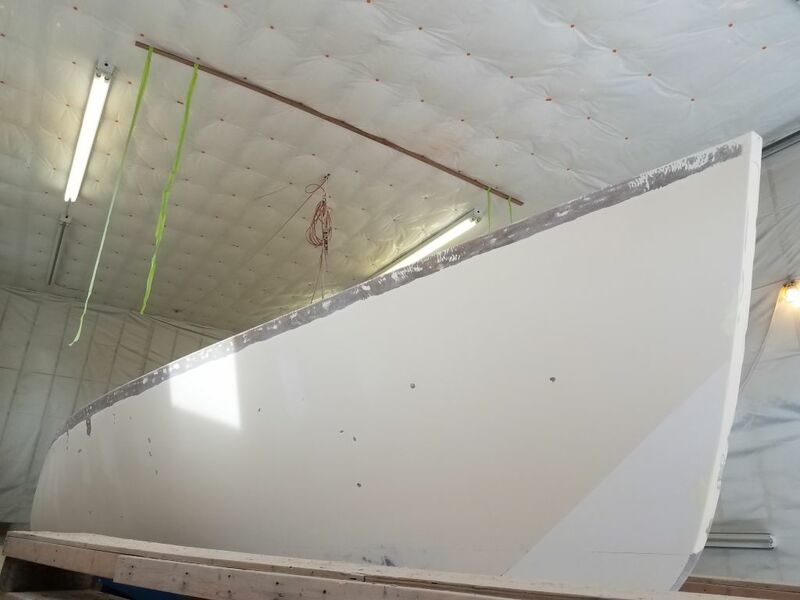 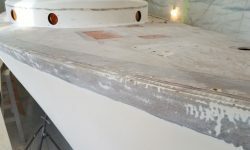 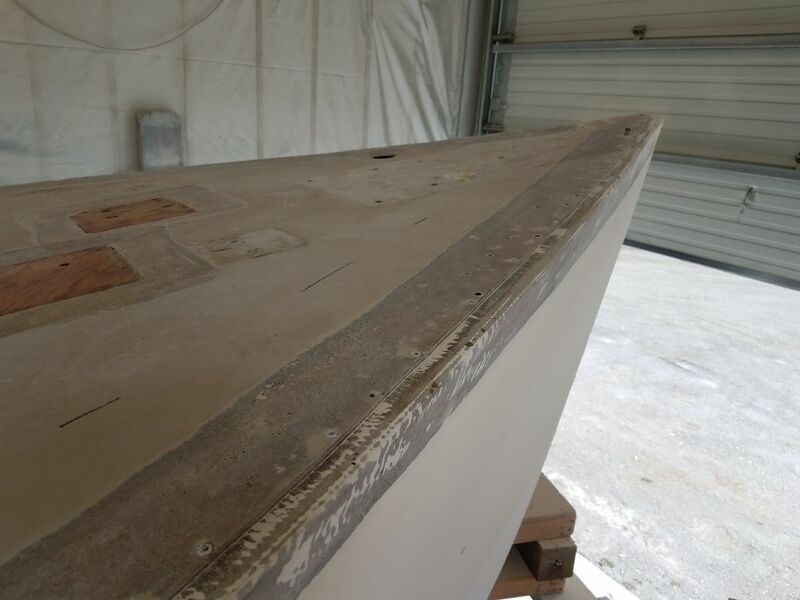 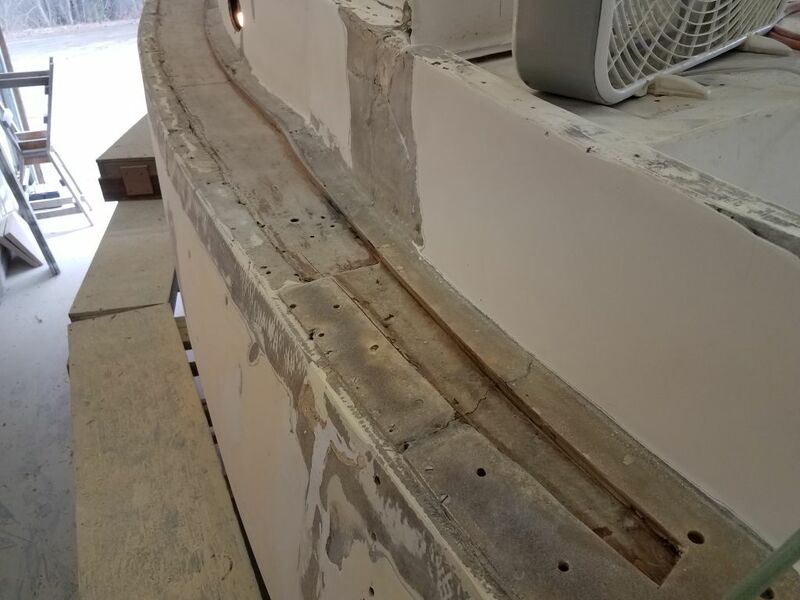 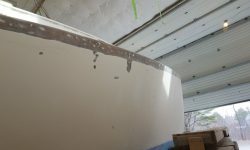 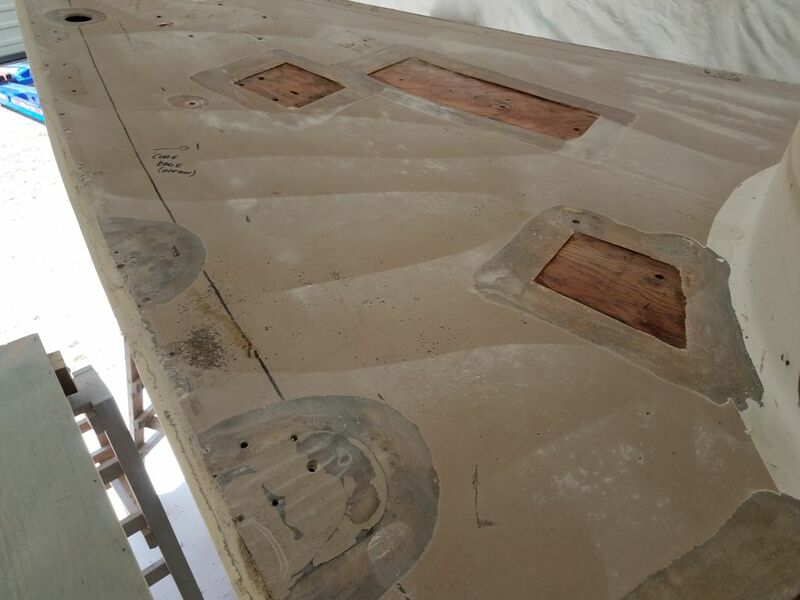 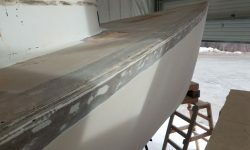 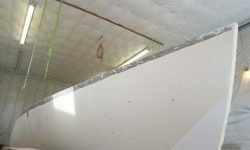 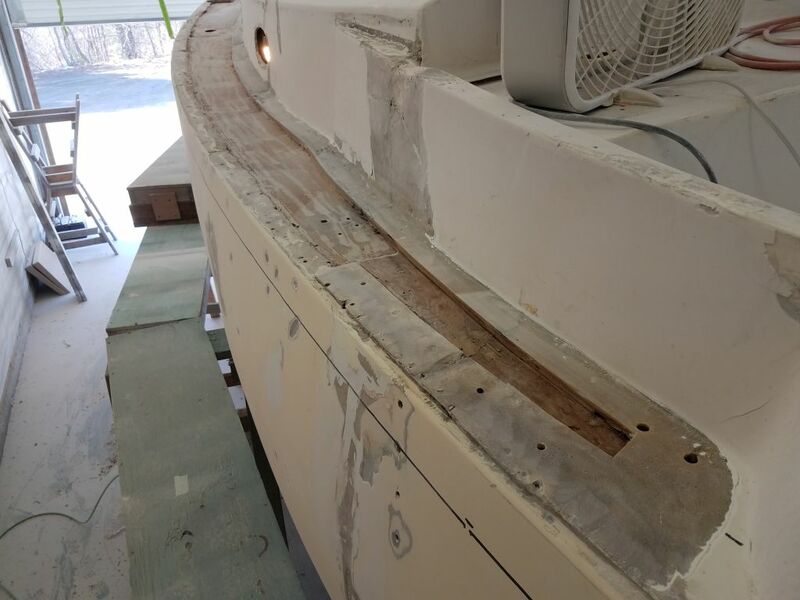 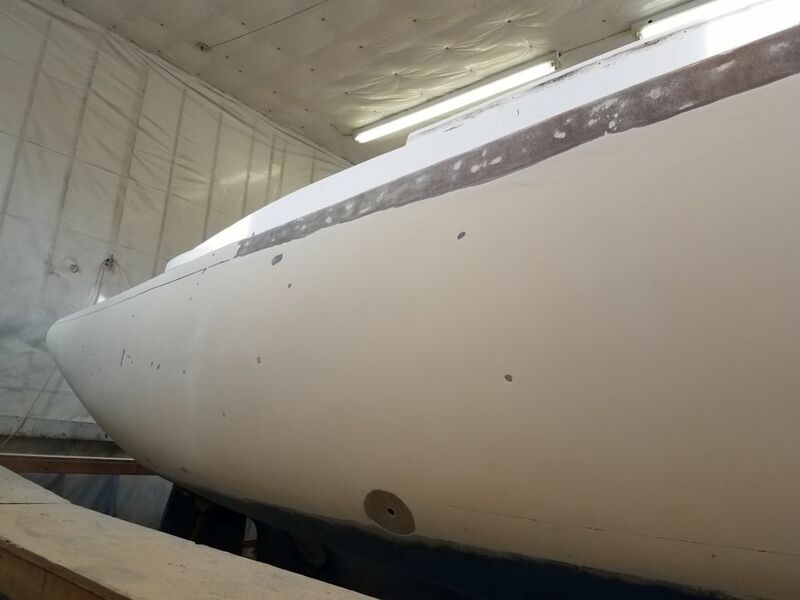 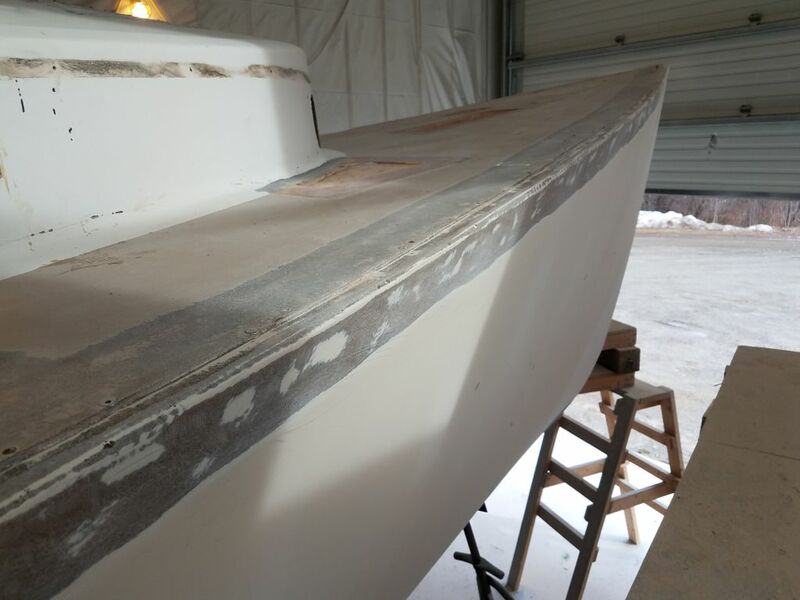 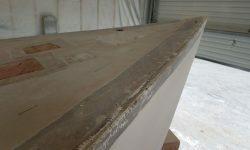 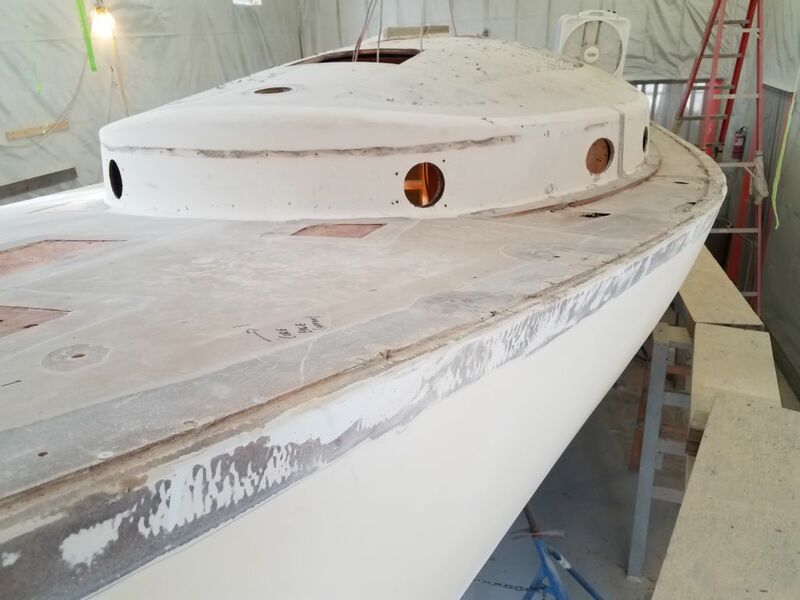 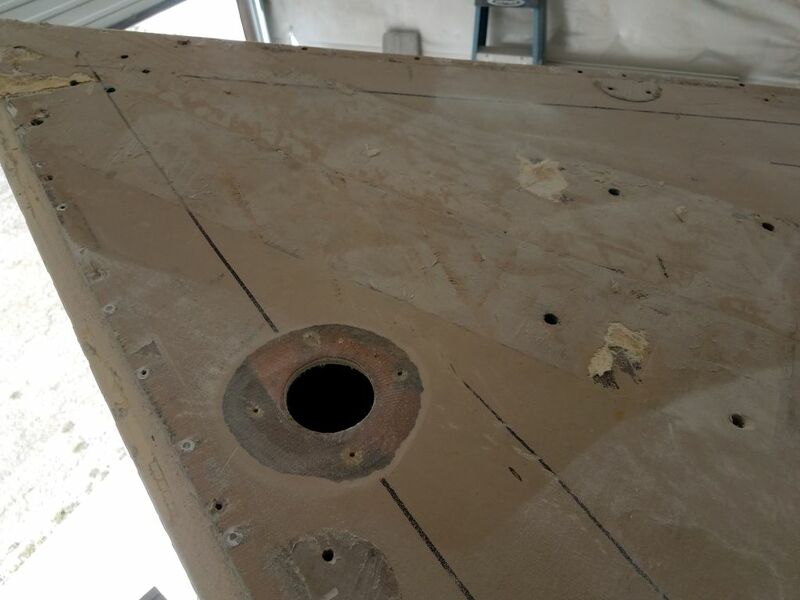 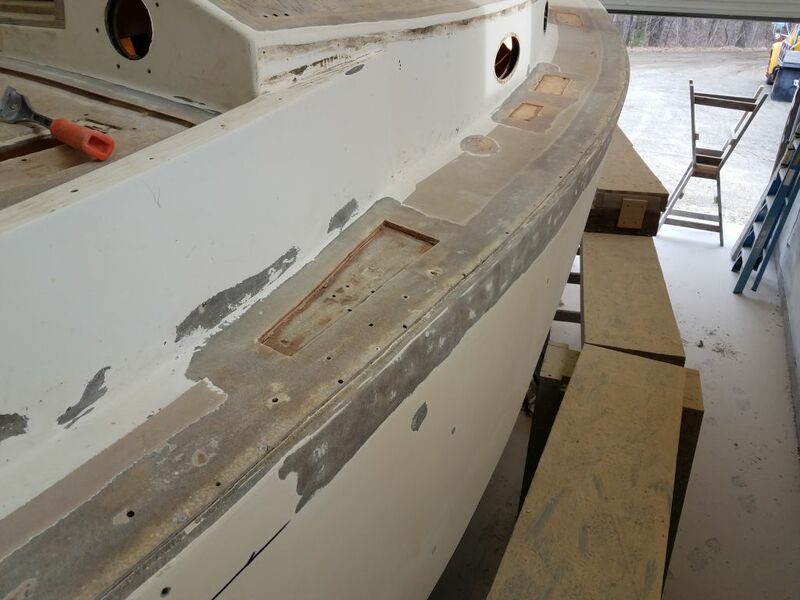 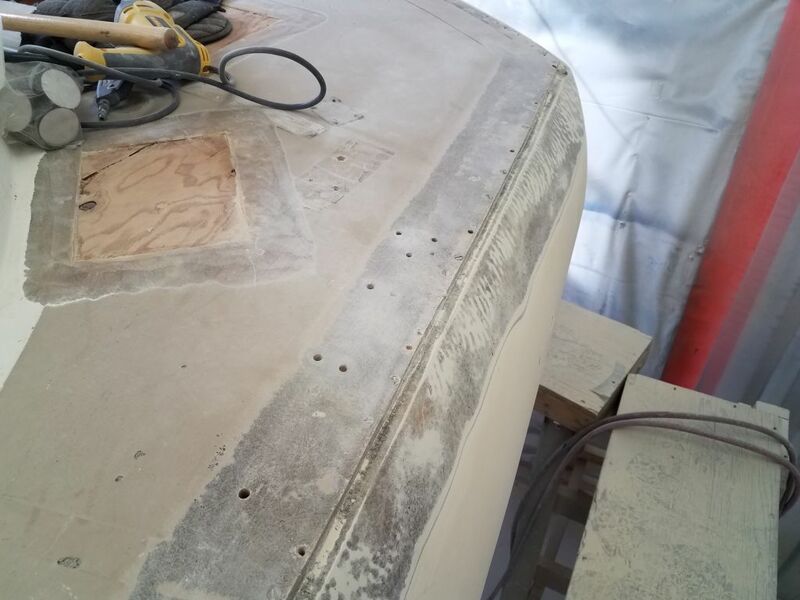 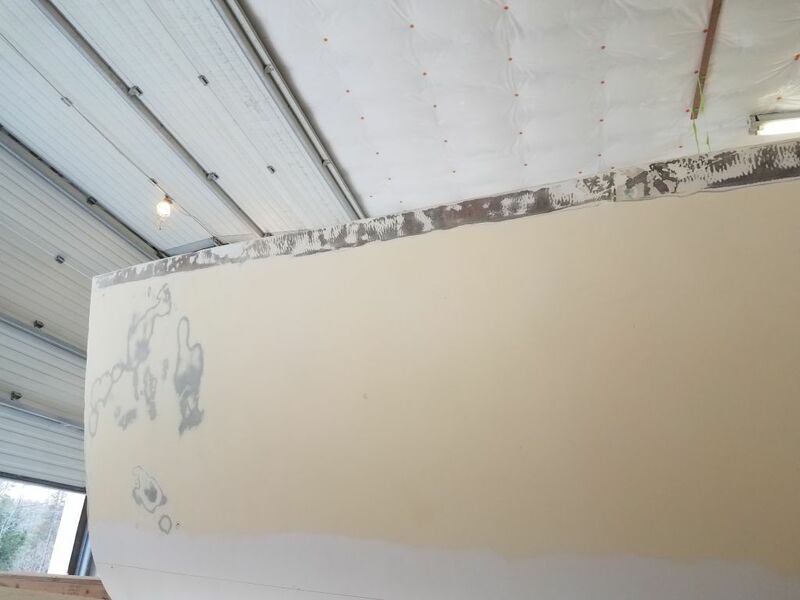 During the remainder of the day, I worked my way around the boat to prepare the top of the hull and the edge of the deck for fiberglassing later, starting at the port quarter and sanding away the gelcoat to the marks I’d made earlier and cleaning up the deck edge as needed. 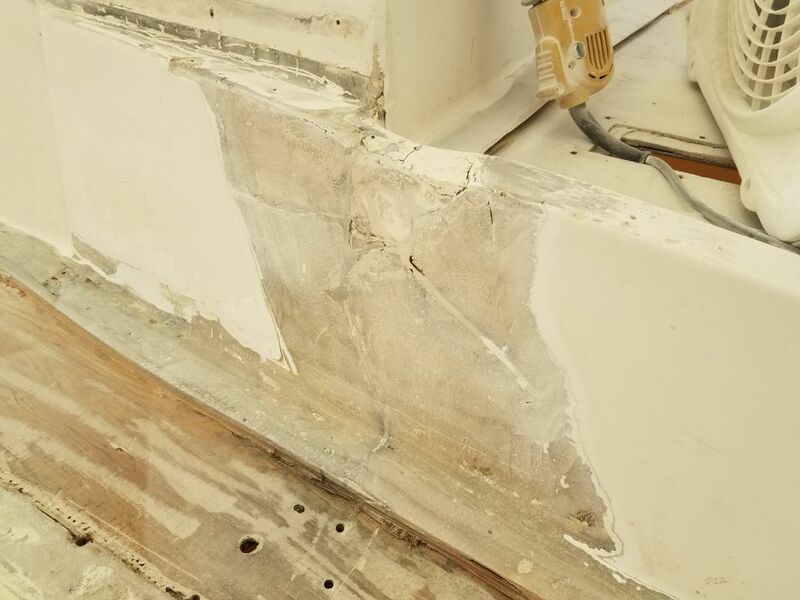 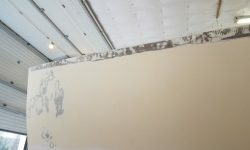 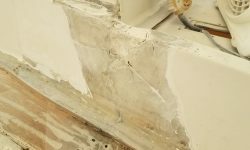 As I worked past, I also used the sander to clean up the inner deck skin on the port sidedeck and other related surface prep in this apocalyptic area that called out for my attention now. 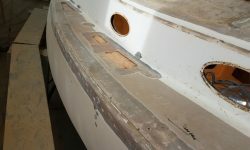 By the end of the afternoon, I’d worked around the stem and back down the starboard side to the cockpit area, leaving the last bit of the starboard side and the transom area for next time.